To give back to the wider community, here are all my course notes for the AWS Solution Architect certification exam. If you read through all of these bullet points and diagrams and understand the lot, you will know enough to pass the exam. to prove that, this is everything I learnt to pass the exam myself, late May 2017. IAM is Global, can’t select a region. Console Root login is at: https://console.aws.amazon.com/console/home Root account has Full access. ‘Access key ID’ and ‘Secret access key’ used for API/CLI access, you only get to see and download (.CSV format) the ‘Secret Access key’ when you create it and never again SO DON’T LOOSE IT. Password are for Users to use, Password Polices should be set. You can attach Polices aka Permissions to Users and Groups, Polices are in JSON format e.g. Roles allow AWS services to talk to other services, supports across AWS accounts too. When you PUT (create) a new object it’s available immediately, when you update/overwrite an object or delete, it may take some time. Glacier – very cheap, takes 3-5 hours to restore. No SLA for Glacier. Minimum charge period for Glacier is 90 days, if you store something for less than 90 days you still pay for 90 days. You can setup logging to the same bucket or to another bucket. Versioning keeps multiple versions of an object in the same bucket. To restore a deleted file, just delete the ‘delete marker’. Once enabled, Versioning cannot be disabled, only suspended. Versioning’s MFA Delete capability adds MFA for additional security against deleting. Enable ‘Cross-region replication’ to host files in multiple regions. Create the Destination bucket first. Destination bucket must have ‘Versioning enabled’. A new Role will get created for source bucket to talk to destination bucket. Permissions are also replicated across. ‘Lifecycle Management’ for example automatically move after 30 days to ‘Infrequently Accessed’ and after 60 days to ‘Glacier’ and after 425 days delete. Read S3 FAQ before the exam. CloudFront is a CDN (Content Delivery Network), edge locations are in most of the major cities around the world, there are more than 50. Edge locations not just READ only, you can write to them too. SSE-S3 – S3 Managed Key – SSE-S3 provides server side encryption, but Amazon manages the keys of the object storage system, This system makes sure uploaded data is encrypted when stored on Amazon’s servers. The risk of losing the data due to lost keys is eliminated. SSE-KMS – AWS Key Management Service, Managed Keys – SSE-KMS is most advanced, allowing you to manage and audit the keys and providing a level of advanced control over the SSE-S3 service. SSE-C – Server side encryption with customer provided key – Customers provides the encryption keys to Amazon, and they encrypt all data with your public key so that ONLY you can only read the data with your private key. 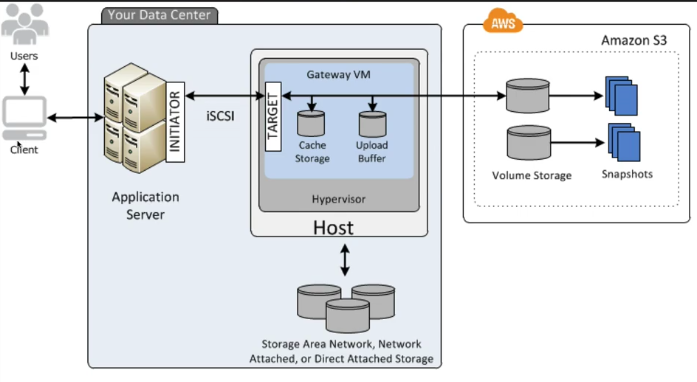 Storage gateway is an ESX or Hyper-V VM that sits on-prem. Tape Gateway (VTL) – Backup software can connect via iSCSI to the VTL. Is a truck for 100 Petabytes capacity. Spot Instances – If spot instances are terminated by Amazon and this happens if the spot price goes above your bid price, you will not be charged for a partial hour of usage. However, if you terminate the instance, you will be charged for any hour in which the instance ran. ALWAYS one subnet = one availability zone! Inbound and outbound rules, specify the Type e.g. HTTP, Protocol e.g. TCP Port Range e.g. 80, Source e.g. 0.0.0.0/0 for everything or select another subnet. ‘Security Groups’ are stateful, that means if you allow inbound HTTP, it automatically lets the HTTP traffic back out, you don’t have to add an outbound rule. You can attach a security group to multiple EC2 instances, and add multiple security groups to a EC2 instance. You cannot block specific IP addresses using Security Groups, instead use Network Access Control Lists (ACL’s). You can create a new volume from a snapshot, this lets you change the AZ, volume size and the volume type as well. You can share snapshots to other AWS accounts or made public, but only if they are unencrypted, this is because the encryption key is linked to your AWS account. Instance store (Ephemeral storage) – You cannot stop the instance, only reboot and terminate. If the instance is stopped from say a host failure, the data is lost. It is created from a template stored in Amazon S3. EBS backed volumes – You can stop and start and the data is persistent. It is created from a AMI which is stored on EBS. EBS volumes should be used for storing data long term. Application Load Balancer – Layer 7 which is the Application layer – recommend over the ‘Classic Load Balancer’ by AWS now. Port can be ‘traffic port’ which uses the target groups port, or select ‘override’ and select your own port. ‘Register targets’ you add EC2 instances. ELB’s can only be public or private, it cannot be both. Standard Monitoring every 5 minutes is free, Detailed Monitoring every 1 minute is paid for. RAM not available, this would be a Custom metric, need a bit of code inside the EC2 instance to report on this. Respond to state changes in your AWS resources. For OS and Application level log support, install an Agent on EC2 instances which can pass OS and Application logs to CloudWatch. Use aws configure command to connect to a AWS account with the CLI, although this can be bad as it stores credentials locally on your PC/server. Using Roles is more secure than using ‘Programmatic access’ with a ‘secret key ID’ and ‘secret access key’, this is as ‘aws configure’ stores these keys in plain text format in a file called ‘credentials’ on the server. 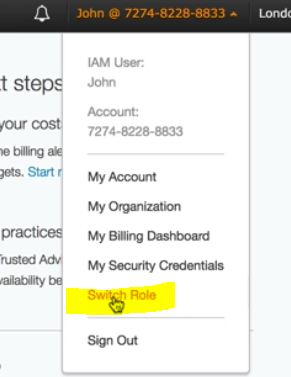 When creating an EC2 instance, select your ‘IAM role’. This means when you login to this EC2 instance you don’t need to run the ‘aws configure’ command and add in your secret access key and ID, which is good as you don’t want the credentials stored on your EC2 instance. The role you’ve attached to the EC2 instance gives you access already. In the AWS console, you cannot add/remove/change the IAM role attached to a EC2 instance. You can add/replace the IAM role via the AWS CLI though. You can also attach more polices to an existing role to give more access. Changes to any IAM Roles are effectively immediately. Roles are worldwide, they work across all regions. Switching roles enables you to manage resources across AWS accounts using a single user account. When you switch roles, you temporally take on permissions assigned to the new role. When you exit the role, you give up those permissions and get your original permissions back. In this example, make sure the instance has an IAM Role attached to be able to read a S3 bucket, as the last line of this user data code reads from a S3 bucket. 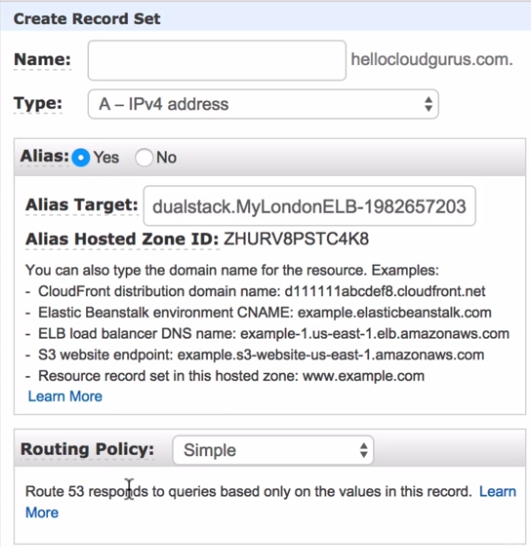 When inside an EC2 instance, run the ‘curl’ or ‘get’ commands to show metadata. Key thing to remember is that it’s an instances META DATA, not user data can be retrieved. Before you create an auto-scaling group, create a ‘Launch configuration’, basically is like creating a new EC2 instance, but doesn’t actually deploy it. Select IP address setting, assign a public IP or not. 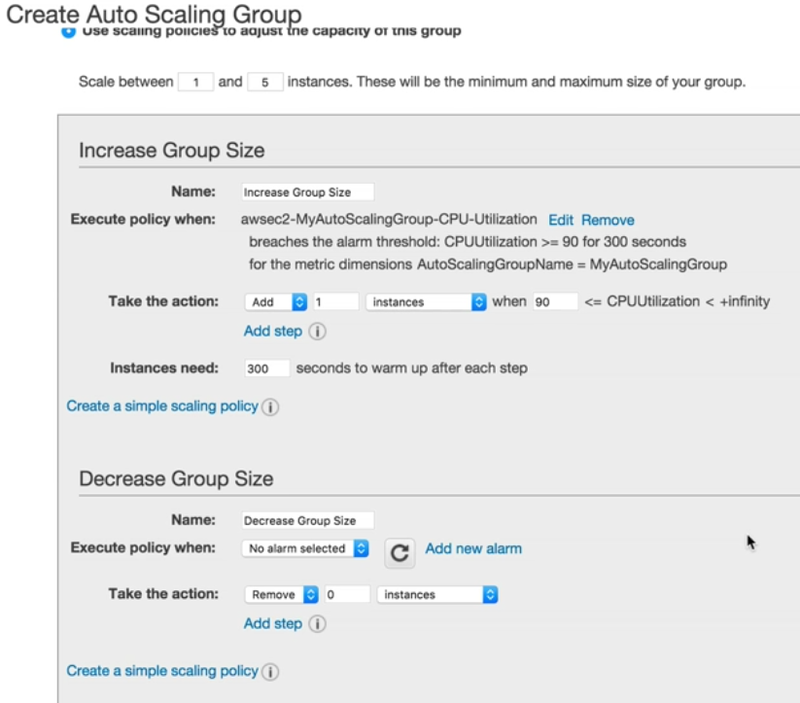 If you delete an Auto scaling group, it will shut down and terminate all the instances in the group. Only some type of instances can be launched in a Placement group (Compute optimised, GPU, Memory optimised, Storage optimised). You can’t move an existing instance into a placement group, you have to create a new instance from an AMI. Placement groups are Single AZ’s only. Do this on multiple instances so they can all read/write to the same EFS folder. Is a compute service where you upload your code and create a Lambda function. As a compute service to run your code in response to a HTTP request from Amazon API Gateway or API calls made using AWS SDK’s. Languages supported – Node.js, Python, Java, and C#. number of requests – 1st million requests are free, $0.20 per 1 million requests thereafter. Duration – calculated from the time your code begins executing to finishes rounded up to the nearest 100ms. Price depends on the amount of memory you allocate to your function. You are charged $0.00001667 for every GB-second used. Its BIG benefits!! NO SERVERS, continuous scaling, Super super cheap. Domain registrars are authorities that can assign domain names directly under one or more top-level domains. Each domain name comes registered in the central ‘WhoIS’ database. AWS is now a Domain registrar. SOA (Start Of Authority) record stores administrator of the zone and other info. NS (Name Server) records are used to direct traffic to the Content DNS server. TTL (Time To Live) in seconds, the length of time the DNS record is cached on a resolving server or users local PC before talking back to the DSN server. CNAME (Canonical Name) used to resolve one domain name to another. You get charged per request using Route53. Alias records are similar to CNAME’s, key difference is a CNAME can’t be used for a naked domain name (zone apex) e.g. http://google.com Alias’s can. Also, if using Route53, Alias’s are not charged per request. Remember ELB’s do not have a IPv4 address, you resolve to them using a DNS name e.g. 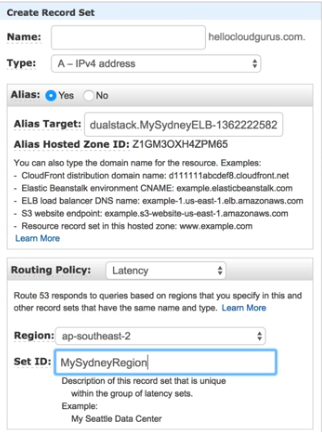 lb1-1234.us-east-1.elb.amazonaws.com, Alias’s are perfect for pointing to a ELB’s DNS name. On AWS, given the choice, always choose an Alias Record over a CNAME. 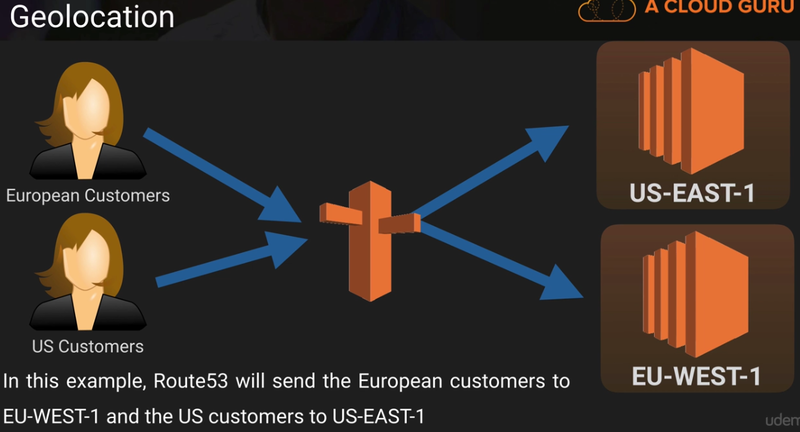 Route 53 is a global service just like IAM. There is a limit of 50 domain names available by default, however it is a soft limit and can be raised by contacting AWS support. 2 options, ‘Register domain’ or ‘Transfer domain’. Let’s you split traffic to different regions or ELB’s, they can be in the same region. Good use case is to test out a new web site and send a small percentage of traffic to it. E.g. set a weight of 80 to one Alias Target, and a weight of 20 to the other Alias Target. Used to create an active/passive setup e.g. EU-WEST-2 is primary and AP-SouthEAST-2 is the secondary DR site. Route53 will monitor the health of the primary site using a health check. In Route53 create a ‘Health check’ and point it to the Primary sites ELB’s DNS name checking HTTP port 80. Lest you route your traffic to servers in a location for example all customers coming from the US will route to US servers with US specific products and prices, and Europe customers will go to Europe server with euro pricing. You can select location by ‘Continent’ or specific ‘countries’ and for the US for specific ‘states’. You can select ‘default’ as the Routing Location for Everywhere else. Data Warehousing is used for business intelligence. Used to pull in very large and complex data sets. Usually used by management to do queries on data. In-memory cache database on the cloud, not on slower disk. Allows you to recover your database to any point within a ‘retention period’. Retention period can be 1 to 35 days. Replaying transaction logs AWS will recover your database down to the second. The backup data is stored in S3 and you get free storage space equal to the size of the database. Backups are taken within a defined window. During backup window, storage I/O may be suspended/slight latency while your date is being backed up. Are done manually. They are stored even after you delete the original RDS instance, unlike automated backups. Whenever you restore an Automated backup or Snapshot, the restored version will be a new RDS instance with a new end point. RDS Encryption – Is done by the AWS Key Management Service (KMS). All the backups and snapshots get encrypted also. You can’t convert an RDS DB to be encrypted, you have to make a new one and migrate the data over. Supports Multi-AZ for DR – the RDS database is Synchronously replicated to another AZ in the same region. If the failover occurs, the same DNS endpoint is carried over. Read Replica to boost performance– uses asynchronous replication to create an exact ‘read-only’ copy of the RDS DB to boost read performance. You can have up to 5 read replicas of your main DB. Must have automated backups turned on to deploy read replicas. Only supported for MySQL Server, PostgreSQL and MariaDB. Each Read Replica has its own DNS end point. You cannot have Read Replicas that have Multi AZ. You can create Read Replicas of Multi-AZ source databases however. Read Replicas can be promoted to become their own DB, this breaks the replication. DynamoDB vs RDS – DynamoDB offers “push button” scaling, meaning that you can scale your DB on the fly with no down time. RDS is not so easy, you have to use a bigger instance size or add a read replica. 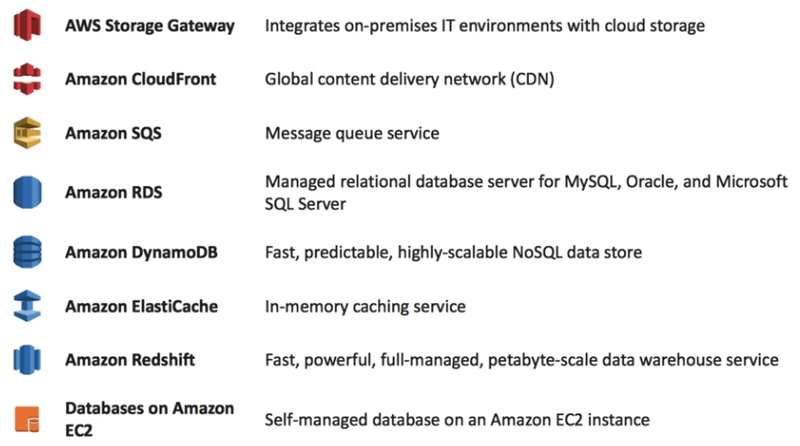 AWS DynamoDB fast and flexible NoSQL database that gives single-digit millisecond latency at any scale. Great fit for mobile, web, gaming, ad-tech, IoT applications. Eventual consistent Reads (Default) – consistency across all copies of data is reached within 1 second. Best Read Performance. Strongly consistent Reads – Returns a result that reflects all writes that received a successful response prior to the read. DynamoDB offers “push button” scaling, meaning that you can scale your DB on the fly with no down time. You can start small for just $0.25 per hour and scale up to a petabyte or more for $1,000 per terabyte per year, less than a tenth of most other data warehousing solutions. Columnar Data Storage – Redshift stores data in Columns instead of as a series of rows. 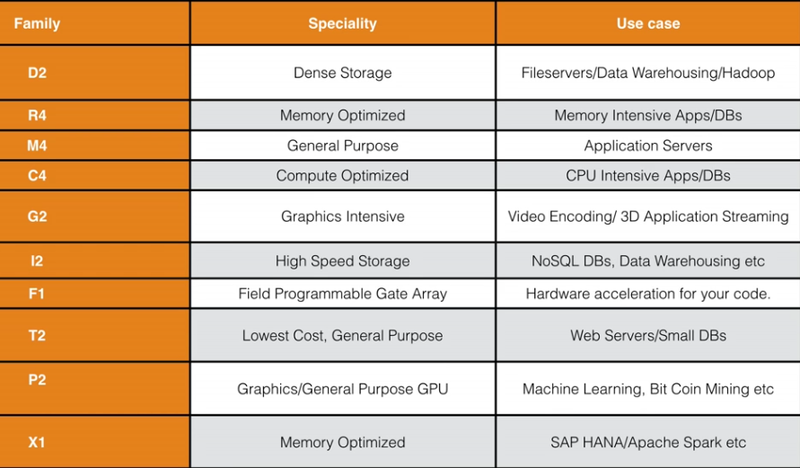 Column-based is ideal for data warehousing and analytics. Column-based system require far fewer I/O’s, greatly improving performance. Advanced Compression – Columnar data can be compressed much more than row-based data, also doesn’t require indexes to save space also. 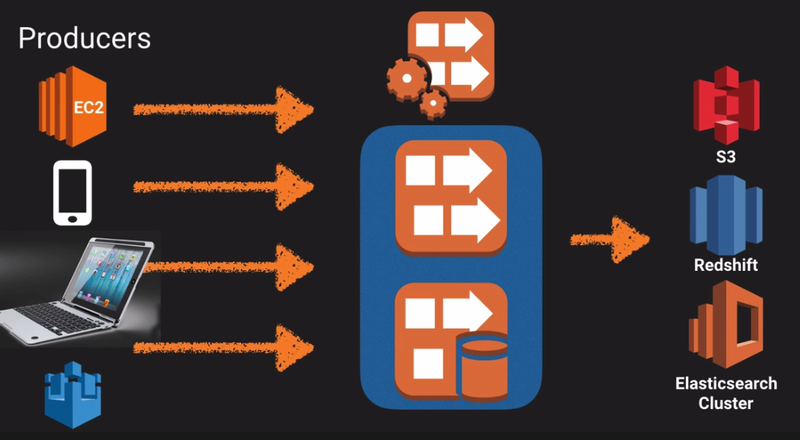 Massively Parallel Processing (MPP) – Redshift automatically distributes data and query load across all nodes. Compute Node Hours, you are billed for 1 unit per node per hour, so a 3-node data warehouse cluster running for an entire month would incur 2,160 instance hours. You’re not charged for leader node hours. Is an in-memory cache in the cloud. Uses in-memory caches instead of relying on slower disk-based databases. Memcached – Widely adopted. Doesn’t support multi AZ. Redis – Is newer than Memcached and has more features. Elasticache Redis supports Master/State replication and multi AZ to achieve redundancy. Exam tip if you have a database under a lot of stress/load you could use Elasticache to alleviate this. Elasticache is a good choice if your database is read heavy and not prone to frequent changing. Redshift is a good answer if the reason your database is feeling stress is because of management keep running OLAP (OnLine Analytics Processing) transactions on it. Amazon Aurora was developed by Amazon and is a MYSQL compatible RDS. AWS push Aurora quite heavily as the best RDS choice. Provides up to 5 times performance of MySQL at one tenth the price of a commercial database. Its designed to handle a loss of up to 2 copies of data without affecting database write availability and up to 3 copies without affecting read availability. Very important exam tip, 1 subnet = 1 availability zone!! Remember security groups are stateful, so if you create a rule to allow HTTP in, it will automatically allow HTTP out. Remember ACL’s are stateless, so you must create the rule both ways. Are always created, is user friendly ready for you to start deploying instances. If you delete the default VPC, the only way to get it back is to raise a support ticket with AWS. 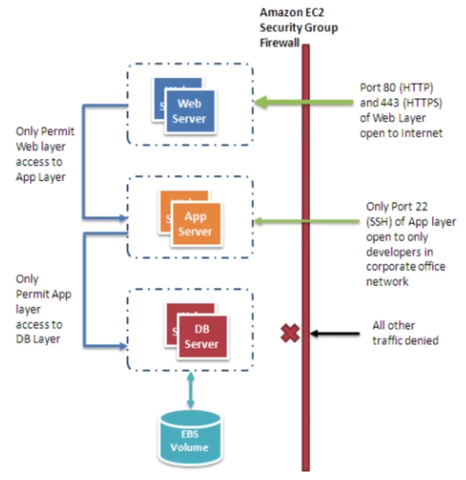 VPC Peering is simply a connection between two VPC’s that allows you to route traffic between them using private IP addresses. 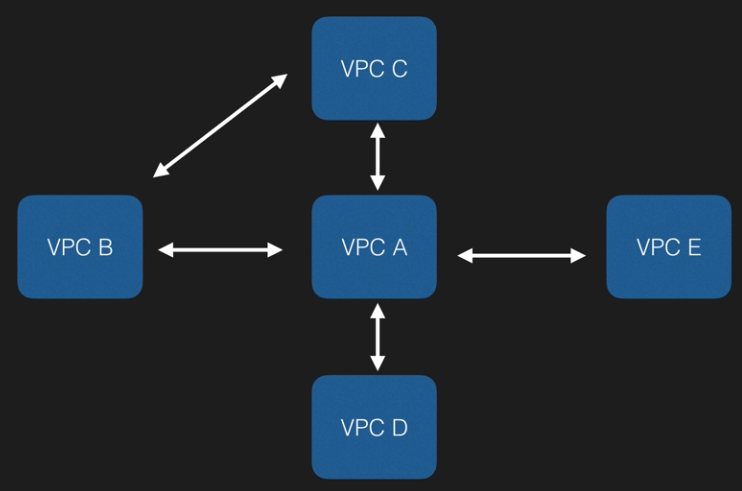 You cannot create a VPC peering connection between VPC’s that have matching or overlapping CIDR blocks. Peering is in a star configuration, 1 central VPC peers with others. NO TRANSITIVE PEERING. Simply means you can’t have one VPC talk via another VPC. If you don’t want to use the Default VPC, you can create your own VPC. Specify the CIDR (Classless Inter Domain Routing) block e.g. 10.0.0.0/16. In AWS, you cannot have a CIDR block larger than /16, for example a /8 will produce an error. When you create a VPC, it creates a default Route table, VPC security group and ACL. We need a NAT instance or gateway to allow instances in the Private subnet to get out to the internet to get software and updates. NAT Instances have been around for a very long time, NAT gateways were released in 2016 and make it a lot easier, no patching needed, no SPOF, so are preferred. 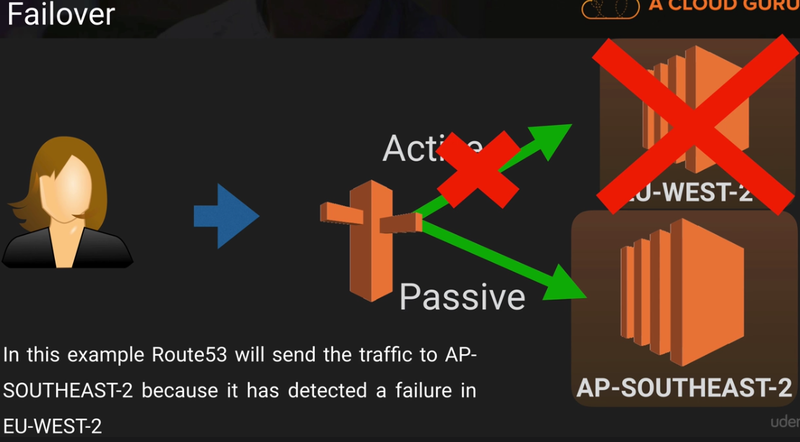 On the AWS console for the NAT instance you must disable ‘Source/Destination Check’, you must do this as a NAT instance acts to route traffic on behalf of other servers. This is what we’ve built with a NAT instance. Problem with NAT instance is it’s a single point of failure unless you start using ASG’s and multiple subnets in different AZ’s e.t.c. Remember! One subnet can only be associated with one Network ACL! But a Network ACL can be associated with multiple Subnets. Network ACL’s give more granular control over allowing and blocking IP’s, but are more complicated than Security groups. Each subnet in your VPC must be associated with a network ACL. If you don’t associate a subnet with a network ACL, the subnet is automatically associated with the Default network ACL. Typical ports to open for a Public subnet. The 1024-65535 are ephemeral ports used by clients. Rules are evaluated in order lowest first, going up. So, if you have a rule 50 which Denys access and a rule 100 that Allows access, the rule 100 takes effect. Design consideration – when using an ELB If you want higher availability use 2 different subnets in one AZ, or even higher availability 2 AZ’s (2 subnets in each). Bastion or Jump boxes sit in the Public subnet and are used for coming in for administration only, SSH and RDP most commonly. You can make redundancy by deploying multiple Bastion/jump boxes in different subnets, you can use ASG’s too. A NAT is used to provide internet traffic to EC2 instances in private subnets, usually for software downloads/software updates. Is a web service that gives you access to a message queue which can act as a buffer for the messages to be stored in temporally, until an instance is ready to process them. SQS Visibility Timeout default is 30 seconds with a maximum of 12 hours. SQS is designed to provide “at least once” delivery of all messages in the queue. Although your application should be designed so that if it receives the same message more than once, it won’t be a problem. Workflow Starters – An application can initiate (start) a workflow. Could be your e-commerce website when placing an order or a mobile app searching for bus times. Deciders – control the flow of activity tasks in a workflow. If something has finished in a workflow (or fails) a Decider decides what to do next. Activity workers – Carry out the activity tasks, could be EC2 instances or even manual human tasks. Can deliver to SMS text message, email, SQS, any HTTP/HTTPS endpoint, or trigger Lambda functions. You create ‘SNS Topics’ and add multiple endpoints like iOS, android and SNS recipients. SNS is smart enough to deliver messages in the right format. A media transcoder in the cloud. Pricing based on minutes you transcode and the resolution at which you transcode. 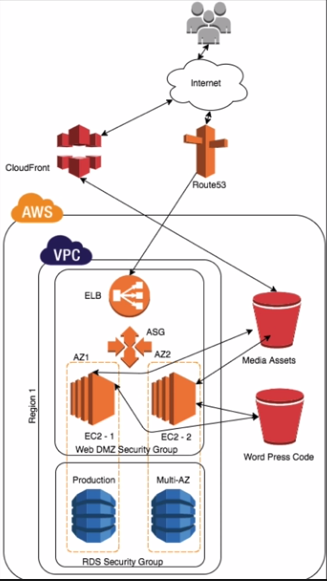 Allows you to create a “front door” for applications to access data or functionality from back-end services such as EC2 Instances or code running on AWS Lambda or any web application. 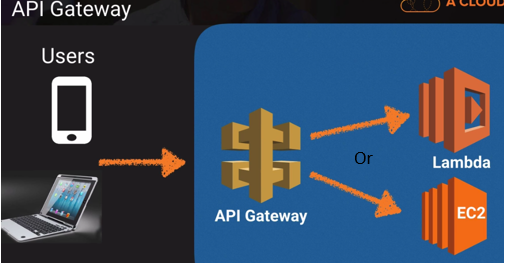 API caching – reduces the amount of calls on your endpoint (Lambda, EC2) and also reduces latency of your requests. 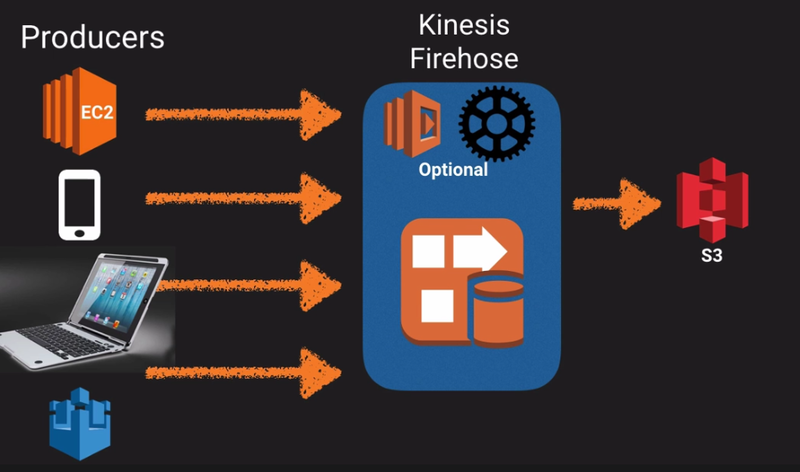 AWS Kineses is a platform to send your streaming big data to. Kineses Streams – Data is sent to Kinesis Streams and is stored in Shards by default for 24 hours, maximum 7 days. The Consumers take the data from the Shard and turn it into something useful and pass it on. If they are talking about Shards in the exam, then they are talking about Streams. The data capacity of your stream is a total of the number of shards you specify for that stream. Kinesis Analytics – Allows you to run SQL queries on the data as it exists in the Streams or Firehose. Elastic Map Reduce (EMR) – usually used for Big Data Processing. Note EMT allows you to login as root. You can view the groups in the console as well as exporting all to csv files. By default, you get local administrator access so you can install your own applications. You don’t need an AWS account to login to workspaces. AWS offer a shared security model, AWS is responsible for securing the underlying infrastructure and you the customer are responsible for anything you put on the cloud. All decommissioned magnetic storage devices are degaussed and physically destroyed in accordance with industry standard practices. 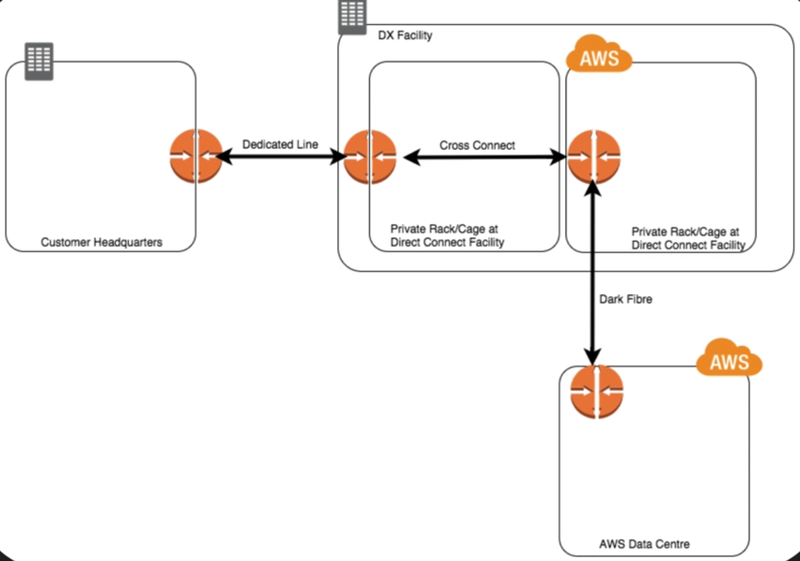 Logically the AWS Production network is segregated from the Amazon corporate network. Meaning the Amazon.com network is separate from the AWS network. IP Spoofing – AWS will not allow an instance to send traffic with a source IP or MAC address other than its own. Port Scanning – Unauthorised port scans by Amazon EC2 customers are not permitted. You may request permission in advance to conduct vulnerability scans (penetration testing) as required. Trusted Advisor inspects your AWS environment and makes recommendations when opportunities may exist to save money, improve system performance, or close security gaps. AWS does not have any access to your instances or the guest OS. 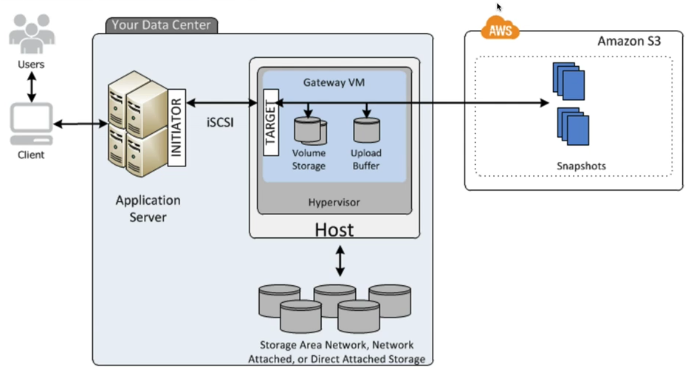 A Risk management overview is conducted by AWS bi-annually. AWS Import/Export you mail AWS USB hard disk of data to upload to S3. AWS are preferring customers to use AWS Snowball now and it’s cheaper. Design for Failure! When designing, you should always design expecting failures to occur and extra load could occur. 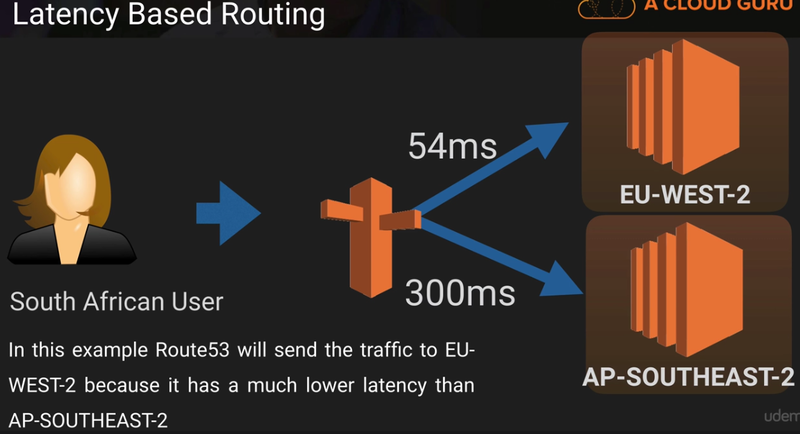 Design with auto-scaling and use multiple AZ’s and even multiple regions using Route 53. Cost optimisation allows you to pay the cheapest AWS hosting costs possible while not sacrificing your business objectives. Use services like Lambda that only execute (or respond) when a request (demand) comes in. CloudWatch can help you keep watch on what your demand is. Use the correct instance type, e.g. on a T2-micro a reporting process might take 7 hours to complete, on a m4.2xlarge is might take 5 minutes and would cost overall less. A well architected system will use the most cost efficient resources to reach the end business goal. Use Reserved Instances if its makes cost sense. 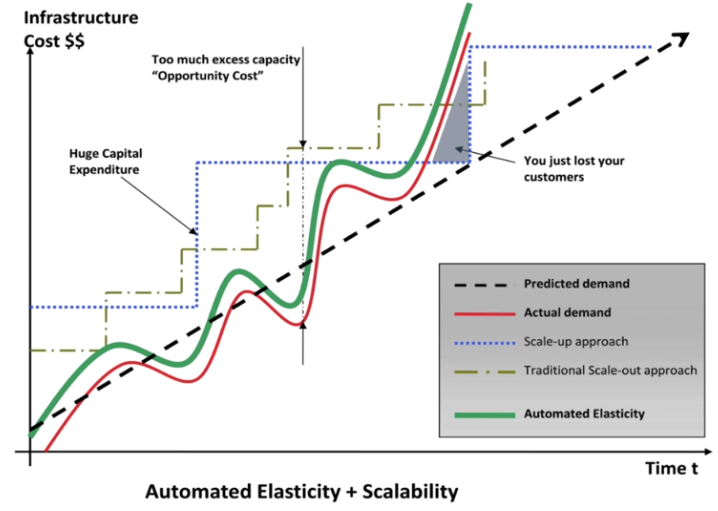 With cloud agility comes problems of everyone spending and you’re not aware. Use Consolidated billing (now called AWS Organisations), Cost allocation tags, billing alerts. A service you chose last week might not be the best service to be using today e.g. MySQL RDS was best in 2012, but Aurora launched in 2014 might be better and cheaper. Subscribe to the AWS blog so you know of what new updates there are. Use AWS Trusted Advisor to give you recommendations over time.